There are three distinctive phases that you may encounter depending on the course of treatment you and the doctor decide to take. 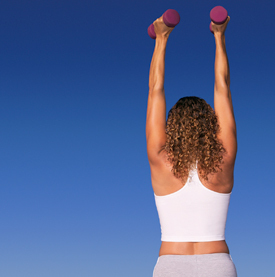 Our doctors prescribe specific exercises for your condition. The exercises are designed to gradually correct the abnormal spinal or postural problem. And, to retain your muscles so your body will be able to function normally and comfortably. Spinal adjustments are preformed to restore proper range of motion, reduce muscle spasms and pain. After the pain begins to disappear, specific postural adjustments are made to correct the underlying condition the x-rays and exam initially revealed. A specific force applied to your problematic spinal region, designed to make a structural long lasting change. Several types of dynamic traction are utilized by our clinic. Visit our helpful front office staff to schedule your next appointments. We recommend that you schedule your appointments in advance to best fit your schedule and to insure that the therapeutic rehab equipment you require for your treatment is conveniently available to you. Call our Las Vegas chiropractic office today and start living the chiropractic lifestyle!